You'll get in some beach time at Manly Beach and Clovelly Beach. Let the collections at Australian National Maritime Museum and Art Gallery of New South Wales capture your imagination. You'll find plenty of places to visit near Sydney: Valley Heights Locomotive Depot Heritage Museum (in Valley Heights) and Norman Lindsay Gallery & Museum (in Faulconbridge). 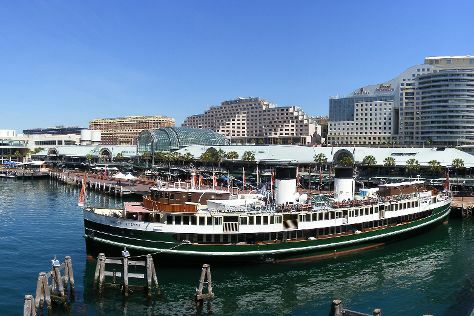 There's still lots to do: wander the streets of Darling Harbour, get to know the fascinating history of The Rocks, trek along The Opera House to the Botanic Gardens Walk, and catch a live performance at Sydney Opera House. For ratings, photos, more things to do, and tourist information, read Sydney road trip planning website . If you are flying in from Hungary, the closest major airport is Sydney Kingsford Smith International Airport. In March, plan for daily highs up to 30°C, and evening lows to 22°C. Finish up your sightseeing early on the 17th (Sun) so you can travel back home.